Oscar? Oscar who? At the American Academy of Cosmetic Dentistry, excellence is recognized with the Celebration of Excellence award, more commonly known as the Evy. 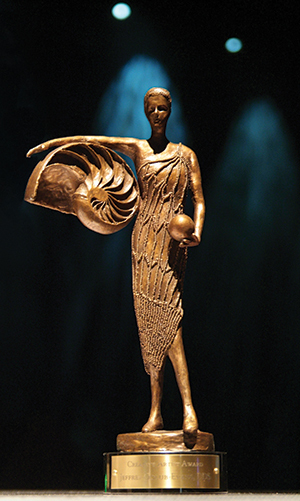 The Evy moniker and the statuette’s design both have significance founded in the history of the Academy and in the fundamentals of cosmetic dentistry. 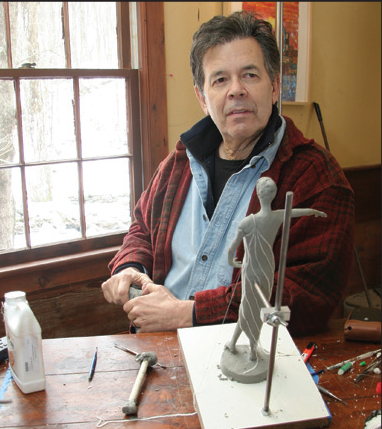 The Evy statuette was designed and sculpted by the late Dr. Jeffrey Golub-Evans who, in addition to being an AACD member and past President, was an award-winning artist. The chambered nautilus, tucked under the statuette’s right arm, is an image of symmetry and produces the golden proportion that is used in cosmetic dentistry. Moreover, it is compartmentalized and unified like a beautiful smile. The award’s nickname, the Evy, is a nod to the late Dr. Jeffrey Golub-Evans. 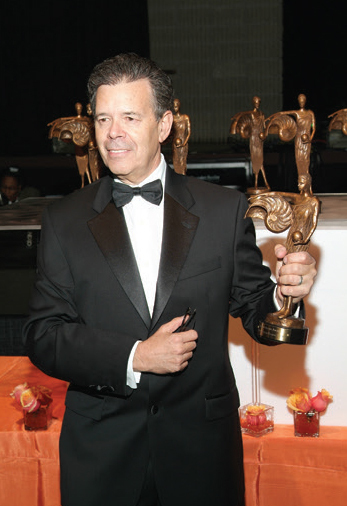 As the creative force behind the AACD Celebration of Excellence statuette, the award was christened “The Evy,” in his honor upon his passing. The first Evys were awarded in 2007 at the 23rd Annual AACD Scientific Session in Atlanta, Georgia. Since the award’s debut, 74 Evys have been awarded to deserving dental professionals. The Evy is 12 inches tall, and once the base and nameplate are added, it weighs about six pounds. It is made out of an epoxy resin and then painted gold. 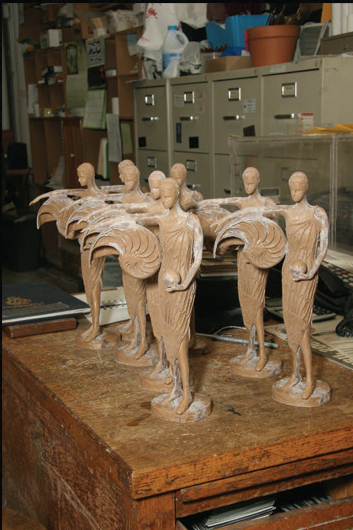 For the past ten years, Sculpture House Casting in New York City has been producing the statuettes. Sculpture House has been in business since 1918, and their client list includes MoMa, the Museum of Modern Art in NYC, and several reputable New York-based artists. Award categories include: Outstanding Innovation in Cosmetic Dentistry Award; Excellence in Cosmetic Dentistry Education Award; AACD Humanitarian Award; AACD Rising Star Award; jCD Award; Outstanding Service to the Academy Award; and the Lifetime Achievement Award. For even more Evy history, check out this video, "The Story of the AACD Celebration of Excellence Awards." To see a list of Previous Evy Award Recipients, click here. You can now nominate a colleague for a 2019 Celebration of Excellence Award! Please download nomination forms from the Evy awards nomination page and submit all materials to awards@aacd.com by Friday, Jan. 11, 2019 at 5 p.m. CT.